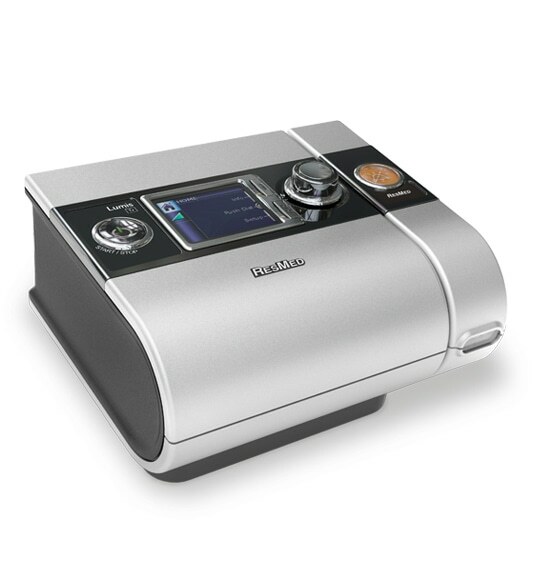 The Resmed Lumis TX is a ventilator that can help patients in multiple care settings throughout your hospital. ResMed’s Lumis Tx is an all-in-one hospital ventilator that helps you treat a range of range of respiratory conditions including COPD, OHS, NMD, sleep apnea and periodic breathing. Lumis Tx delivers safe, high-quality noninvasive ventilation to hospital patients with a full range of respiratory conditions. It can even treat pre-diagnosed obstructive sleep apnea (OSA) and sleep-disordered breathing, as well as improve blood gases in patients with COPD, NMD, periodic breathing and other respiratory conditions. This versatile ventilator goes everywhere from pulmonary and respiratory therapy to cardiology and recovery. Not only can your entire hospital staff train to use the same machine, it can help to easily transition discharged patients to home ventilation therapy.